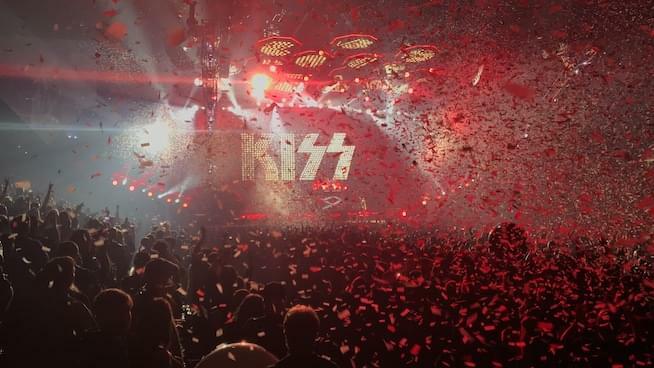 “You wanted the best, you got the best…the hottest band in the world…KISS!” It’s how almost every concert by Rock and Roll Hall of Famers KISS has started for the past 45 or so years. 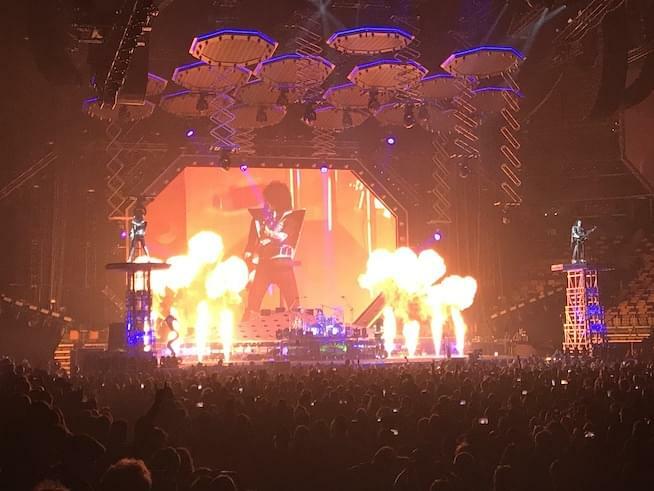 When the band roared into Boston’s TD Garden Tuesday night, they certainly delivered on one of the most entertaining and visually exciting and (literally) explosive shows that’s likely ever been produced. Despite criticism of the use of the ‘farewell’ motif by the band yet again, (the first “Farewell Tour” took place in 2000 – and in some ways it was an accurate description – guitarist Ace Frehley and drummer Peter Criss haven’t toured with the band since) this tour dispensed with the sentimentality and delivered exactly what the band has promised in a rare case of the final product living up to the hype – the biggest show you can imagine. YouTube videos don’t do it justice. 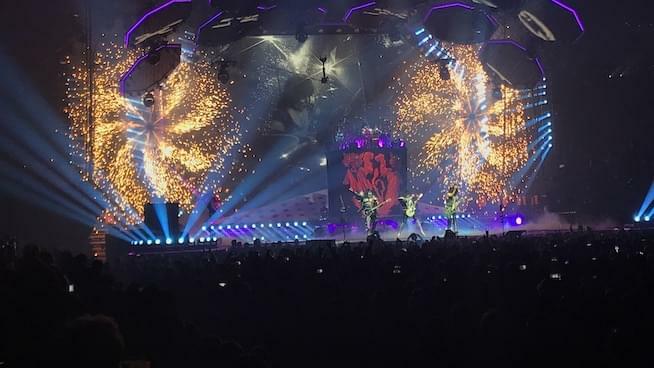 From the moment the iconic KISS curtain drops, revealing the band descending from the rafters accompanied by one of the most impressive pyrotechnic displays one can imagine while they play “Detroit Rock City,” to the final moments of frontman Paul Stanley smashing his signature Ibanez Iceman guitar at the end of “Rock and Roll All Nite” while confetti and streamers drop on the crowd and even more pyro explodes around him, the concert is a bombardment of the senses. Serving as master-of-ceremonies, Stanley reminisced about the band’s early experiences playing in Boston – how they played at the Orpheum Theatre in 1975 and also how for many years they couldn’t play in the old Boston Garden because “they wouldn’t let us blow stuff up in there.” Up until the new Fleet Center (now TD Garden) was built, the band was forced to play in either Providence or Worcester on their east coast tours. The other original member on this tour, 69 year old Gene Simmons performed his popular routines – breathing fire during a heavy, blistering, pyro-laden performance of 1983’s “War Machine,” spitting blood before ascending into the rafters to deliver a bone-crunching “God of Thunder,” and flapping his trademark tongue at every chance he had. The camaraderie between Simmons and Stanley was strong during this show, with Stanley often sharing a mic with Simmons or playfully engaging with him on stage. 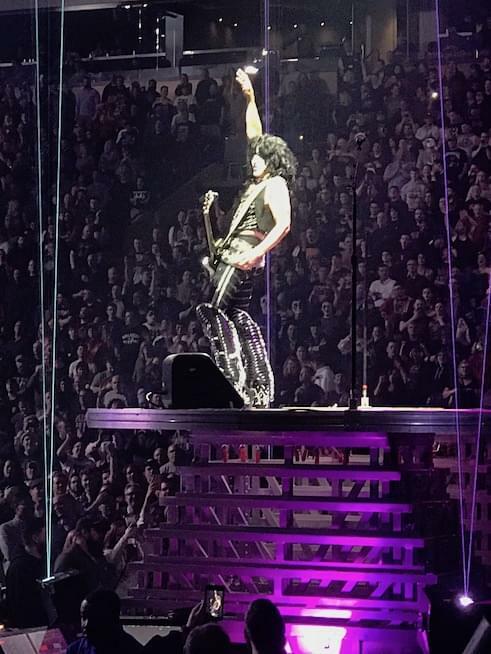 While original members Frehley and Criss were not part of this tour, the roles of Spaceman and Catman were capably filled by Tommy Thayer and Eric Singer respectively. Thayer proved a worthy sub, mostly sticking to Frehley’s original guitar parts and replicating his classic solo, during which he shoots fireworks from his guitar. Eric Singer is a much stronger drummer than Criss is these days and the power he provided behind the kit was impressive. Singer first performed with KISS following the death of second drummer Eric Carr in 1991 and on the excellent “Revenge” album before the first reunion tour with the originals. All in all, despite some initial misgivings I may have had, Frehley wasn’t really missed. The show is so massive that you barely had time to dwell on one thing before everything around the band was exploding or levitating or something else crazy. The setlist is standard. Stanley said in the lead up to the tour that it would be, that there would be no ‘deep cuts,’ and it was the right call. The crowd ranged in age from older folks to small children, whose mouths were agape in awe of the show that they were witnessing. If this was their first show, they’re certainly spoiled visually from anything else they’re likely to see. While this is advertised as “the end,” the tour is also scheduled to continue for 2 years or so, meaning the band will likely come through again, probably in smaller markets like Providence or Manchester. If they do, and you’re even a casual fan, I can’t recommend this show enough. Right, I should’ve been more clear that Ace and Peter hadn’t toured together with the band since 2000. Thanks for reading!